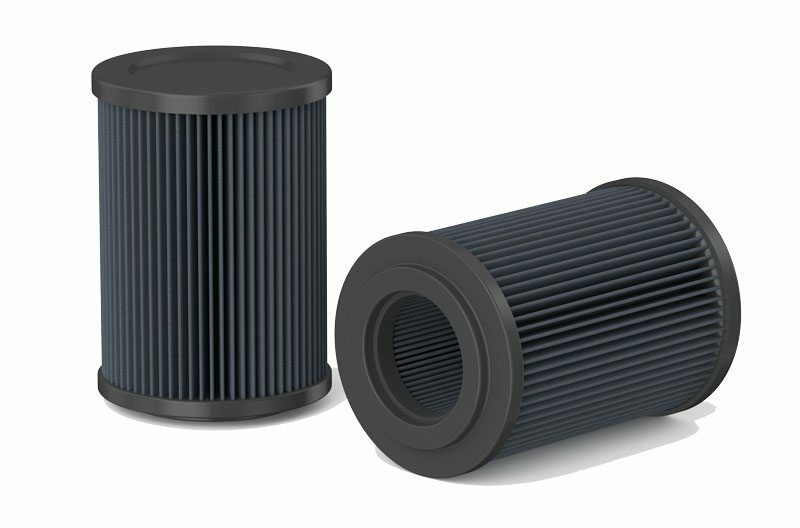 AFF offers replacement cartridge filter elements for dust collectors. Our replacement cartridges fit most OEM units and are manufactured to the OEM specifications or higher from quality components to provide top performance. We can cross-reference virtually any product or modify a design to solve specific problems. Cartridge filters provide a very large filter surface area within a compact package and are especially effective in air filtration applications with limited space. Blowers and compressors are built with very tight tolerances between the inner workings of the machines. Wear and tear on these components decreases their efficiency and ends up affecting the operation of their systems. 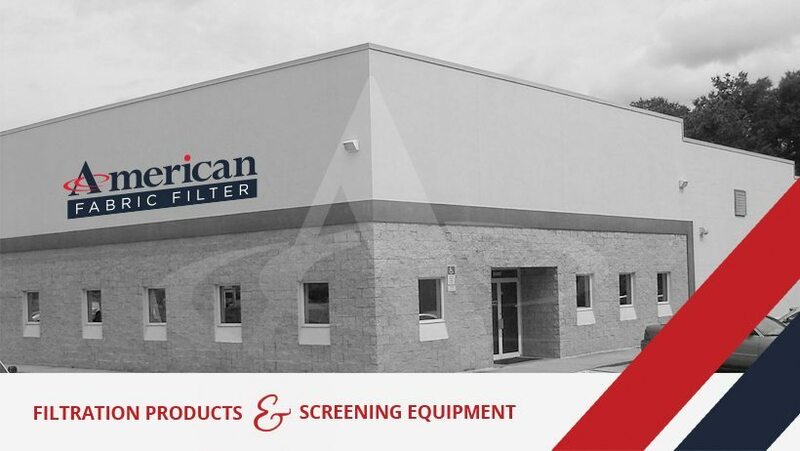 To protect these inner components, American Fabric Filter offers several types of intake air filters. 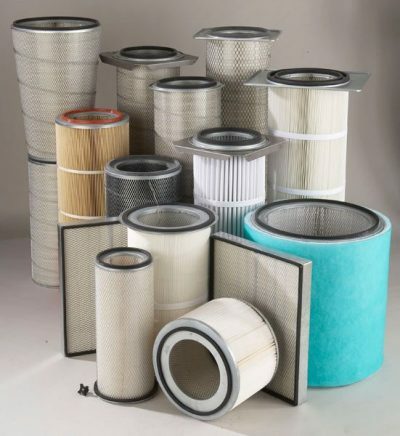 We use a wide range of filtration medias including paper, felt, wire mesh and polyurethane. Properly maintaining and replacing your filter will help extend the life of your machine especially if the unit is in a dirty/dusty environment. Pleated filters are designed to replace traditional filter bag/cage configurations in pulse cleaning dust collection systems. 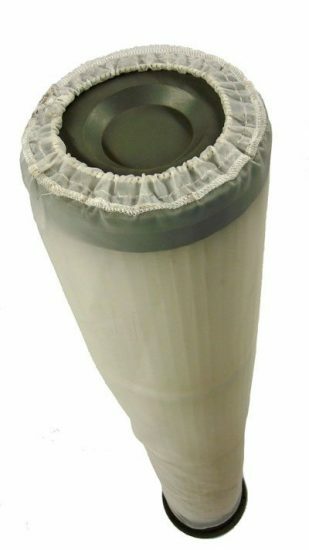 Pleated filters can offer 2~3 times the filter area than a standard filter bag. Another benefit is that the pleated bags are shorter than the typical filter bag which means you will use less air when pulsing the filters. We offer many different options in regards to media, pleat count & construction to suit your specific application. We can help convert your existing bag/cage setup or quote replacements for what you are currently using. AFF offers highly efficient intake filters that are utilized in industrial rotating equipment, such as gas turbines & centrifugal compressors. Modern turbines are extremely sensitive to particulate in the combustion air. Having a proper filter will keep downtime to a minimum and keep the turbine running as efficient as possible. Gas turbines can be found in remote extreme locations as well as near populated city centers so having the right style filter to fit your plants needs is critical. Overbags help prevent dust from bridging across the filter pleats and help to extend the life of the cartridge filter or pleated bags. 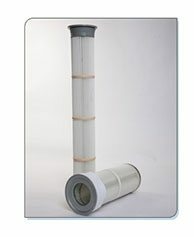 We have a wide range of materials in stock and can custom make the overbag to fit your filter. Overbags are proven to increase the life of the filters in certain applications.